April 22, 2014 August 18, 2014 Categories Community, Eventscommunity, Seattle, Team PoshLeave a Comment on Seattle Poshers, You’re Invited! Who is ready for a fun night out with your PFFs? We are! 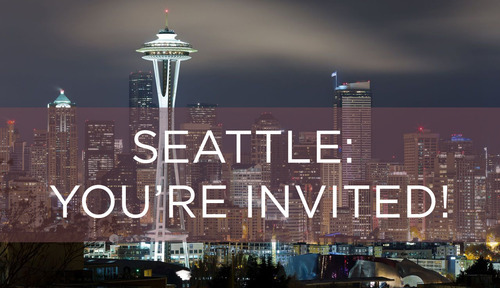 Get ready because Poshmark is heading to Seattle THIS Thursday, 4/24, and we’d love to see you! Join us for an evening of mingling with other Poshers, sipping delicious cocktails and meeting members of the Poshmark community team and our amazing Founder & CEO. It’s sure to be a fashionably fun evening with your PFFs! The meet-up will be held at Hotel 1000’s Outdoor Terrace from 6:30-9:00 pm. Rsvp to this event no later than 12pm noon on April, 24th by clicking HERE.